Very little is known about the Ton Temperance Band and its conductor Mr. John Treherne. There is only one surviving photograph of the band. It was taken outside Ystrad Railway Station. The actual date the band was formed is not known, however records show that initially rehearsals took place in a draughty shed behind the Blacksmith’s shop in Gelli. The Band later moved to a large building in Ton Pentre. The Ton Temperance Band was a competitive band and although records show that it did not achieve any premier honours at major competitions in South Wales, it was listed as a prizewinner at several local competitions. In 1895, the Ton Temperance Band was invited to play at the official opening of Gelli Colliery Library in Ystrad. Sir Clifford Cory, the highly influential son of John Cory, performed the ceremony. He was so impressed by the standard of the band’s performance that he offered to provide financial assistance and provide suitable employment to enable the band to engage a first class conductor. The Ton Temperance Band changed its name to reflect the generous financial assistance from Sir Clifford Cory and his family business, Cory Brothers. Consequently, from 1895, the Band became known as Cory Workmen’s Band. Mr John Treherne was the first conductor of the band known today as the Cory Band. He was the conductor of the Ton Temperance Band from 1884 to 1895. Over this period, Mr Treherne developed his band, but despite taking them to a small number of contests in the South Wales and Monmouthshire area, the fledgling Ton Temperance Band rarely featured in the prizes. John Bailey became the band’s MD in around 1896. 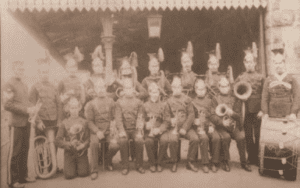 Under Bailey’s guidance, the Cory Workmen’s Band started to cultivate its reputation locally in South Wales, achieving a number of Second Class contest victories. Bailey was also an accomplished composer and wrote the Band’s signature march The Singer. Numerous trophies were won, together with 36 Gold Medals. Many premier honours, including: Welsh National Eisteddfod Winners at Treorchy, 1928; at Liverpool, both the Open and Welsh Sections in 1929; and then at Neath, were also gained. A much coveted 2nd prize was won by the Band at the Spring Festival, Belle Vue, Manchester in 1930. In Cardiff on 19th July 1923, the Cory Workmen’s Band also took part in what is believed to have been the first radio broadcast of a brass band. By the mid 1950s Cory Band had notched up an impressive 250 BBC Broadcasts. 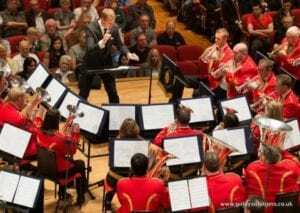 Mr Dobbing had conducted the Cory Band in many of these. In April 1940, Dobbing was succeeded by Redvers Little. Redvers who was popularly known as Reg, started his banding career in 1915 with Dalton Town Band, progressively developing his experience with the famous Gwaun Cae Gurwen, Creswell Colliery and Barrow Shipyard Bands. 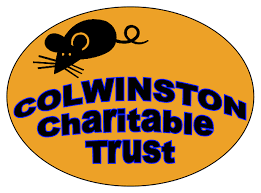 He formed a Junior Band at Swanwick Collieries in 1935, subsequently attending eleven contests, winning nine of them. Reg continued his winning ways, when he was appointed to conduct Cory Workmen’s Silver Band, by winning a host of local contests, most notably the Welsh Regional Championships in 1941, 1943 and 1945. The appointment of Walter B. Hargreaves in 1946 proved to be the catalyst to place the Cory name firmly on the National platform of contesting success. It was under the charismatic leadership of the man known as ‘The Wee Professor’ that Cory enjoyed what was, at that time, its most successful spell of contest success. In 1950, on his first ever appearance with the band at the Open contest held at Belle Vue, Manchester, Hargreaves led the band to another superb second prize-winning performance of Eric Ball’s Resurgam; the highest placing ever achieved by a Welsh band at this historically prestigious contest. The magnitude of this achievement is highlighted by the fact that it would be another 50 years before a non-English band would surpass second prize, when Cory won the title outright in 2000. In his remaining two years with the Cory Workmen’s Band, Hargreaves won most of the domestic contests he entered, including first prize playing Beethoven’s 5th Symphony in an open air contest at Duffryn Park, Blaina in 1948. First prize playing Morning Rhapsody by Eric Ball on the tiered stage of the Great Central Hall, Newport in 1949 and first prize playing Resurgam by Eric Ball at the Workmen’s Hall, Ferndale in 1951. Also, in 1951, the band won first prize playing Festival Overture by Henry Geehl at the Great Central Hall Newport, with Walter programming this work for a subsequent BBC ‘Listen To The Band’ programme. Major H.A. 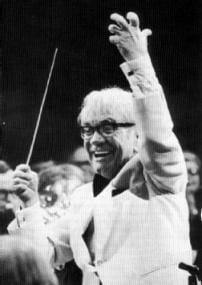 Kenney was appointed conductor in 1970 and had an immediate impact. Under his direction the band achieved the long-held goal of finally winning one of ‘the big ones’ in 1974 at the National Championships. This partnership repeated this feat in 1982, 1983 and 1984 for an historic hat trick. In the middle of this period, Denzil Stephens led the band to its first ever European title in 1980. In 1998 Just Rentals, a locally based company, agreed to support the band, resulting in it being known as the Just Rentals Cory Band. Just Rentals changed its name to Buy As You View to reflect developments in its business and with this the band became known as the Buy As You View Cory Band. In 2007, the band once again became known as The Cory Band. Dr Robert Childs became MD in 2000 and, like Major Kenney, immediately made an impact. During that year the band won both the British Open and the National Championships and made history in taking the British Open Shield home to Wales for the first time in the contest’s 148-year history. This triumph was repeated in 2002, 2007, 2009 and 2011 when the band won its fourth British Open title. In 2008, 2009 and 2010 the band achieved a historic hat-trick of European Brass Band Champion titles. The Cory Band was also developing musically outside of the contest field. 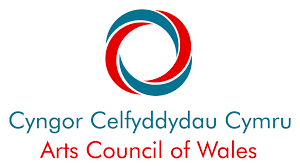 In 2001, together with the BBC National Orchestra of Wales it was appointed as Resident Ensemble to the Royal Welsh College of Music and Drama, and in the same year appointed Dr John Pickard as its Composer in Residence. John Pickard’s tenure with the band ended in July 2005 when the band made history giving the première performance of his Gaia Symphony at the prestigious Cheltenham International Festival. The Symphony was broadcast live on Radio 3, and lasting over an hour in duration, it is currently the largest scale original work in the repertory. In 2002 the band was selected to play for the Queen’s Jubilee celebrations and has since performed in many of the world’s finest concert venues including the Grieg Hall, Stravinsky Hall, the Royal Albert Hall, Birmingham’s Symphony Hall and the Amsterdam’s Concertgebouw. In 2003 it performed with the Royal Philharmonic Orchestra at the Last Night of the Welsh Proms and was more also featured during the opening celebrations of the new Welsh Millennium Centre. Philip Harper was appointed MD in June 2012. This new partnership quickly matured into a formidable musical and contesting partnership. In Philip’s first year as MD in 2013 the band regained the European title, undertook a 10-concert tour of Australia and became the Champion Band of Great Britain at the Royal Albert Hall. All this was to be eclipsed however in 2016 when The Cory Band won an elusive Grand Slam of major titles (The European, the Open and the Nationals) – a feat only achieved twice before, both by the Black Dyke Band, in 1985 and 1995. However, Cory then went on to win the final major contest of the year, Brass in Concert, redefining the meaning of the phrase ‘Grand Slam’ and becoming the only brass band in history to have achieved this four-pronged honour. 2016 also saw a tour of the USA, 40 years after the first one in 1976, and the band ended the year ranked as Number One for the 10th year in succession and with the highest points total ever attained. Cory Academy is the youth outreach arm of the Cory Band.